In 2015 the Youth Council and Oldham Council commissioned Oldham Theatre Workshop to write, produce and perform a piece of educational Drama, inclusive of interactive workshops. This performance was specifically aimed at pupils Year 9 to Year 10 throughout the borough and focussed on promoting positive Mental Health in Young People. In 2016 the piece toured all secondary schools again to new young audiences. Oldham recognises that emotional wellbeing of young people is a key priority across the Borough. Recent statistics show that there has been a rapid increase in the number of reported self harm incidents and hospital admissions for young people in the last 12 months. Evidence tells us that young people report anxiety/stress, self worth, confidence, depression and self harm as the top presenting issues through on-line support. This Applied Theatre project formed part of the Youth Council’s ‘I Love Me’ campaign and focused on promoting positive mental health as well as raising awareness of mental health in young people. The work was funded from Oldham Council via the Kerrching Opportunities Fund. Oldham Theatre Workshop along with the Youth Council worked closely with the Emotional Wellbeing and Mental Health Partnership to take the message to strategic partners further raising awareness and gaining support for more targeted initiatives in this area. 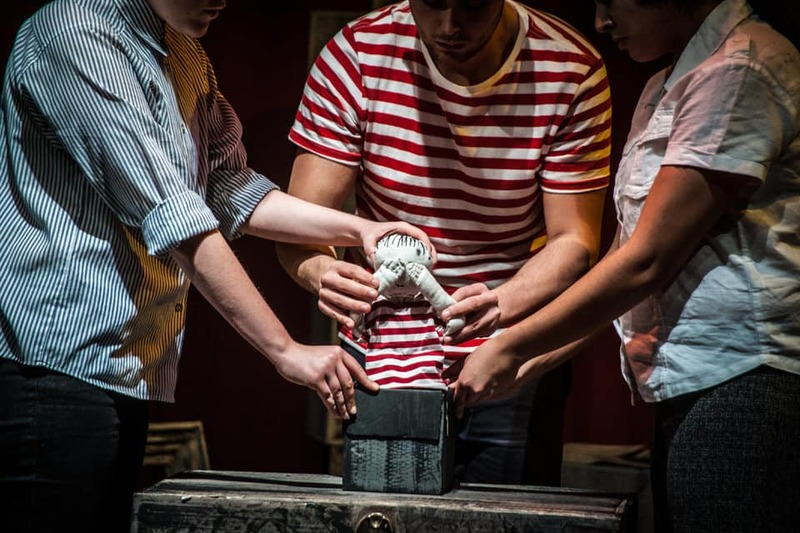 Over 4,000 young people have now seen ‘Boy In The Black Box’.